The APS has established the Articles of Distinction for our Chapters and Affiliates to honor their authors by hosting an annual "best aticle" competition and submitting the winning article for all to enjoy. In addition to awarding authors, this allows APS to provide exposure to our groups, encourage philatelic writing, and share these wonderful articles with our membership. APS Clubs and Affiliates interested in participating click here for more details. The below list is in alphabetic order with the newly submitted articles first. Published in Volume 42, #2 2017 Netherlands Philatelty. Submitted by the American Society for Netherlands Philately. Published in October 2017 Postal History Journal. Submitted by the Postal History Society. Published in Spring 2017 Rossica Journal. Submitted by the Rossica Society of Russian Philately. Published in July 2017 Philatelic Society of Lancaster County. Submitted by the Philatelic Society of Lancaster County. Published in December 2017 Western Express. Submitted by the Western Cover Society. Published in the Fall of 2017Rossica Journal. Submitted by the Rossica Society of Russian Philately. Published in March 2018 The Stamp Forum. Submitted by the The Stamp Forum. Published in February 2017 "Universal Ship Cancellation Society Log", Submitted by the Universal Ship Cancellation Society. Published in Oct. 2014 "Postal Order News", Submitted by the Postal Order Society. Published in July 2017 "The Stamp Forum", Submitted by the The Stamp Forum. Published in July 2011 "Ice Cap News", Submitted by the American Society of Polar Philatelists. Published in Aug. 2009 "Universal Ship Cancellation Society Log", Submitted by the Universal Ship Cancellation Society. Published in January/April and July 2016 "Philateli-Graphics", Submitted by the Graphics Philately Association. Published in First Qtr. 2013 "Canal Zone Philatelist", Submitted by the Canal Zone Study Group. Published in Forerunners, Whole Number 79, pages 57-67 (2014), Submitted by the Philatelic Society for Greater Southern Africa. Published in the Nov.-Dec. 2015 issue of The Hamilton Hinge, Submitted by the Hamilton Township Philatelic Society. Published in the Jan. 2011 "Maplewood Stamp Club Newsletter", Submitted by the Maplewood Stamp Club. Published in the Oct. 2010 "The Souvenir Sheet", Submitted by the Lincoln Stamp Club. Published in Oct. 2011 "Postal Order News", Submitted by the Postal Order Society. Published in May-June 2016 "Journal of the Ships on Stamps Unit", Submitted by the Ships on Stamps Unit. Development of Airmail Services in Poland (1929-1939), by Dr. Jerzy Kupiec-Weglinski and Jacek Kosmala. Published in March-June 2015 "Polonus Bulletin", Submitted by the Polonus Polish Philatelic Society. Divided Postcards: Their Introducation and Early Postal History of Scandinavia , by Per Gustafson, Published in August 2014 "The Posthorn", Submitted by the Scandinavian Collectors Club. Forwarded Markings on Stampless Covers, by James W. Milgram, M.D. Published in the Feb. 2010 "Postal History Journal", Submitted by the Postal History Society. Published in the Feb/Mar/Apr 2013 "CFSC Newsletter", Submitted by the Central Florida Stamp Club. Published in Fall 2014 "The Rossica Society Journal", Submitted by the Rossica Society. Published in September 2014 "Western Express", Submitted by the Western Cover Society. Henry Stinemetts: Naval Cachet Maker and Cover Decorator Extraordinaire; Henry Stinemetts: Beginnings as a Cover Decorator; & Henry Stinemetts: Naval Cachet Maker, SERIES OF THREE ARTICLES - by Christine C. Sanders and W Eugene Sanders, Jr. Published in Aug. & Oct. 2013 and April 2014 "Universal Ship Cancellation Society Log", Submitted by the Universal Ship Cancellation Society. Published in Spring 2015 "Rossica Journal", Submitted by the Rossica Society. Published in Fall 2013 "The Rossica Society Journal", Submitted by the Rossica Society. Published in "BNA Topics" Vol. 70#2, pp. 20-28 (2013) and Vol. 70#4, pp. 19-30 (2013), Submitted by the British North America Philatelic Society. Published in Forerunners, Whole Number 88, pages 64-77 (2017), Submitted by the Philatelic Society for Greater Southern Africa. Published in December 2016 "Cresthaven Stamp Club News", Submitted by the Cresthaven Stamp Club. Published in the Sept. 2010 "TELL", Submitted by the American Helvetia Philatelic Society. Published in the December 2016 issue of The Bulletin of the Polonus Polish Philatelic Society, Submitted by the Polonus Polish Philatelic Society. Published in 2010 "The Texas Philatelist", Submitted by the Texas Philatelic Association. Published in 2015 , Submitted by the Cresthaven Stamp Club. Published in Spring 2012 "Journal of Sports Philately", Submitted by the Sports Philatelists International. Published in September 2015 "Western Express", Submitted by the Western Cover Society. Published in the Feb. 2015 "Postal History Journal", Submitted by the Postal History Society. Published in Feb/Apr/May/June/Aug/Oct 2011 "Universal Ship Cancellation Society Log", Submitted by the Universal Ship Cancellation Society. Published in Brattleboro Stamp Club Newsletter, Submitted by the Brattleboro Stamp Club. Published in Dec. 2010 "Quarterly Circular", Submitted by the Egypt Study Circle. Published in Spring 2011 "Journal of Sports Philately", Submitted by the Sports Philatelists International. 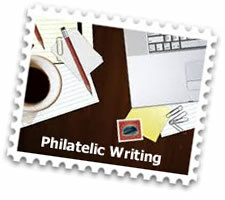 Published in Sept-Oct 2011 "Philatelic Chatter", Submitted by the Johnstown Stamp Club. Published in Feb. 2016, Volume 79 newsletter, Submitted by the Philatelic Society of Lancaster County. Published in Fall 2013 "The Petro-Philaelist", Submitted by the Petroleum Philatelic Society International. Published in Fall 2016 "Rossica Journal", Submitted by the Rossica Society. The Portola Festival October 19-23, 1909, by Harry K. Charles Jr. Ph. D.
Published in Fall 2016 "Baltimore Philatelist", Submitted by the Baltimore Philatelic Society. Postage Due Bisects of the 1890’s, by Harry K. Charles, Jr., Ph. D.
Published in 4th Qtr. 2015 - 3rd Qtr. 2016 "Baltimore Philatelist", Submitted by the Baltimore Philatelic Society. Featured article in January 2012 "The Informer", Submitted by the Society of Australasian Specialists/Oceania - SASO. Published in Oct. 2010 "Postal Order News", Submitted by the Postal Order Society. Published in July 2012 "The Informer", Submitted by the Society of Australasian Specialists/Oceania - SASO. Published in Forerunners, Whole Number 82, pages 66-81 (2015), Submitted by the Philatelic Society for Greater Southern Africa. Published in "BNA Topics" Vol. 69#2, pp. 29-35 (2012); and Part 2 in Vol. 69#4, pp. 60-68 (2012), Submitted by the British North America Philatelic Society. Published in May, August, November 2015 "BNA Topics", Submitted by the British North America Philatelic Society. Published in "BNA Topics" Vol. 68#4, pp. 19-32 (2011), Submitted by the British North America Philatelic Society. Published in Feb. 2013 "South Atlantic Chronicle", Submitted by the St. Helena, Ascension and Tristan da Cunha Philatelic Society - SHATPS. Published in the ___ in 2010 and reprinted in the "Maplewood Stamp Club Newsletter" in 2011, Submitted by the Maplewood Stamp Club. Published in Sept. 2010 "The Levant", Submitted by the Ottoman & Near East Philatelic Society. Published in Forerunners, Whole Number 83, pages 18-24 (July-October 2015), Submitted by the Philatelic Society for Greater Southern Africa. Published in the March 2012"TELL", Submitted by the American Helvetia Philatelic Society. Published in April 2013 "Air Post Journal", Submitted by the American Air Mail Society. Published in April 2015 "Air Post Journal", Submitted by the American Air Mail Society. Published in December 2016 "Airpost Journal", Submitted by the American Air Mail Society. Published in "BNA Topics" Vol. 71#2, pp. 23-31 (2014) and Vol. 71#4, pp. 31-44 (2014), Submitted by the British North America Philatelic Society. Published in Sept. 2015 "Universal Ship Cancellation Society Log", Submitted by the Universal Ship Cancellation Society. Published in November 2013 "Universal Ship Cancellation Society Log", Submitted by the Universal Ship Cancellation Society. Published in March 2010 "Universal Ship Cancellation Society Log", Submitted by the Universal Ship Cancellation Society. USS Squalus (SS 192), by Edwin J. Hayes Jr. Published in May 2016 "Universal Ship Cancellation Society Log", Submitted by the Universal Ship Cancellation Society. Published in December 2014 "Air Post Journal", Submitted by the American Air Mail Society. Published in Jan. - Dec. 2012 "Universal Ship Cancellation Society Log", Submitted by the Universal Ship Cancellation Society.